Jessica Frey scored in the third minute Friday night as the women's soccer team won its first-ever Horizon League match, 3-1 over Youngstown State. 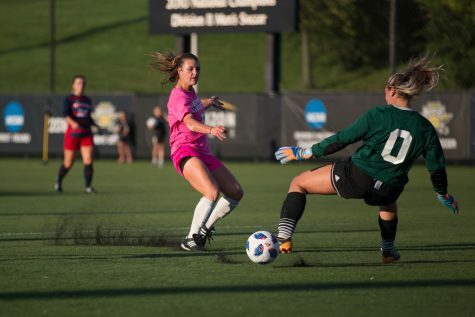 The women’s soccer team lost Sunday at home to Toledo, two days after winning its first Horizon League match against Youngstown State. 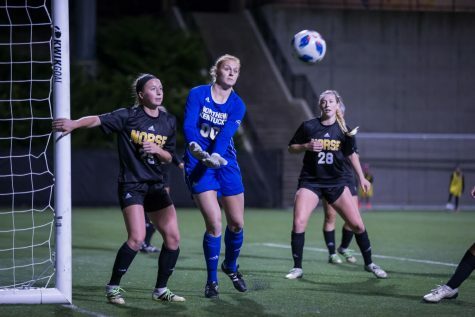 Sunday, the Norse fell 2-0 to Toledo in a match where NKU failed to create scoring chances. 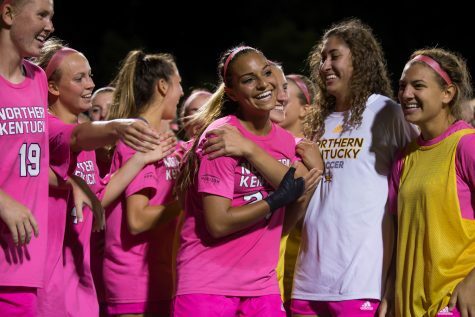 NKU was outshot 23-8, including 11-2 in shots on goal. Brooke Schocker was strong in goal, stopping nine shots. 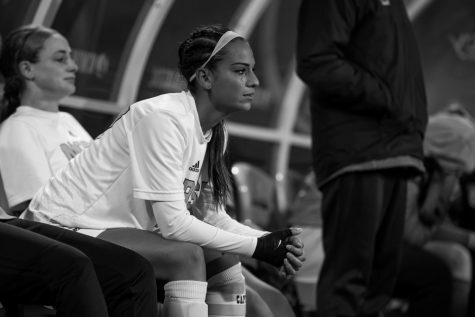 Toledo (4-5) broke through in the 34th minute when Italia Biondi scored. They would make it 2-0 in the 74th minute on a Kiersten Johnson header. Jessica Frey and Morgan Shafer each had a shot for the Norse. 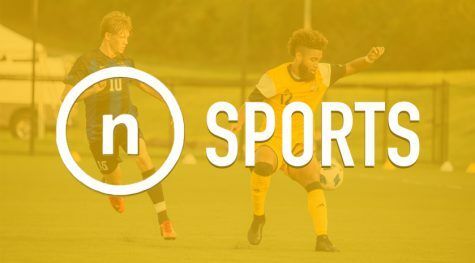 Friday, NKU won its first-ever Horizon League game, defeating Youngstown State in Youngstown 3-1. It took just three minutes for the Norse (5-2, 1-0 in Horizon) to take a lead they would not relinquish. Frey would score just 2:37 into the contest, scoring off the left post. Sami Rutowski had the assist. In the 25th minute, Macy Hamblin made it 2-0. She scored from 25 yards away, assisted by Kelsey Laumann. Just five minutes later, it was 3-0 Norse when Shafer scored in the 30th minute. Sam Davis picked up the assist. 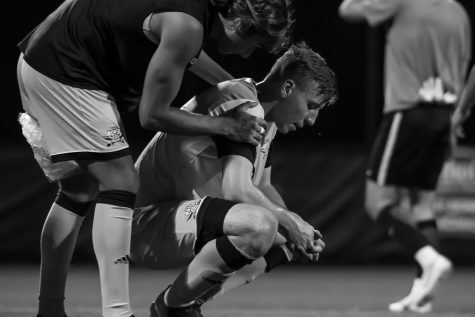 Youngstown State avoided the shutout in the 90th minute when Kyler Lum scored. Brooke Schocker got the start and played the first 79 minutes, making one save. Emily Lohmann played the final 11 minutes. The Norse return home 7 p.m. Saturday when they host UIC in Horizon League play.